Incredibly proud of ESPN’s Sports & The Latino Experience program at the Excellence In Journalism Conference #EIJ17. I help organize a conversation which highlighted Nacion ESPN on ESPN2 and the Beisbol Experience as examples of how teams from different platforms and networks collaborate in producing content that is inclusive and reflective of US Hispanic sports fans. A special thanks to Toni, Marly, Jorge, Fernando and Jaime and the many members of the ESPN Familia who are doing a wonderful job of representing all of us and sharing our company’s commitment to diversity and inclusion. 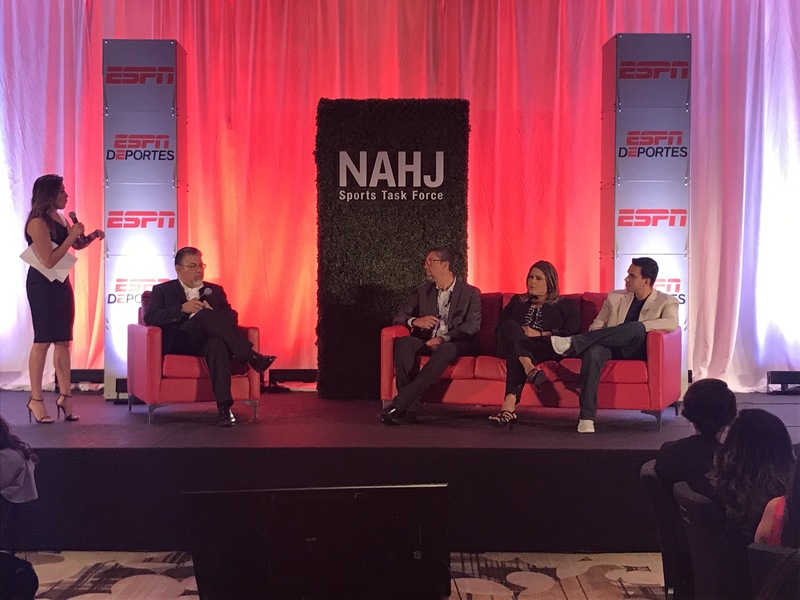 And of course a special thanks to the Board and Staff of the National Association of Hispanic Journalists (NAHJ) for providing ESPN the platform. September 8, 2017 in Conference, Hispanic.